Why is astral projection so hard to verify?? The Astral Pulse > Astral Projection & Out of Body Experiences > Welcome to Astral Projection Experiences! > Why is astral projection so hard to verify?? This guy has a good video on why its so hard to prove AP is real. All his experiments have failed so far. In fact he hasnt even come close. Re: Why is astral projection so hard to verify?? Reality fluctuations (term coined by Robert Bruce iirc). It's not only the physical. 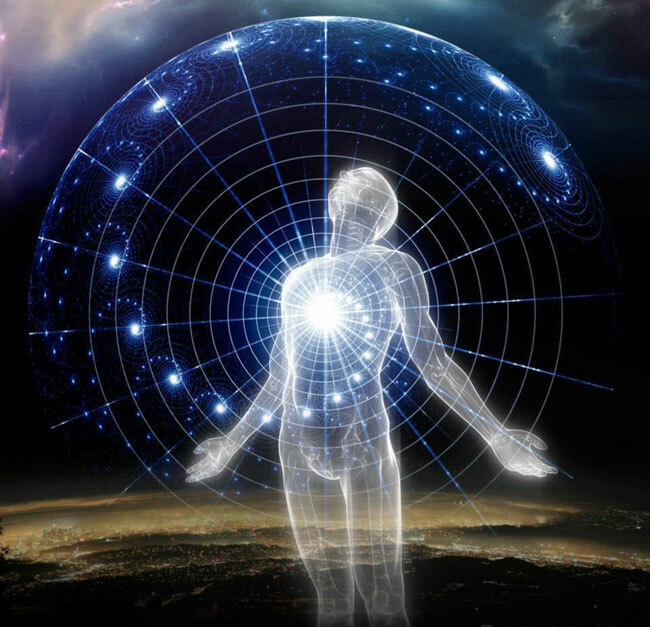 The physical layer (astral-physical / etheric or whatever you call it) is close to the physical but also close to the astral where your thoughts, desires, expectations, alternate timelines, symbols, etc. manifest. For validations from the physical it is better to learn the skill of Remote Viewing. Because it's outside the realm of this physical reality. As Tom Campbell would say... try to explain to your gut bacteria that this outside physical reality exists. You can't, because it's outside their realm of reality. AND Btw , there is really only one thing that gets me going here is to keep practicing the portal possibility... you know the Famous DOORWAY adventure now that's interesting!!!! I will be back on track this winter. I find that targeted validation is very difficult there. On the other hand though, in the past I have written on this Forum a few times where a NP "vision" came true to me here in this current reality. To me, that was all the "proof" I personally needed. Our new expanded "awareness" seems to have it's own "gifts" as well. Those gifts "can" be and usually are used frequently in this physical reality here, sometimes without us not even knowing it. I know in the past here, Volgerle has posted a link to many "Validations" that occurred during a NP experience. Perhaps he can post it again here so that all can read it. It's for many years now part of my signature! Just see below. Trying to prove to someone else is one of the hurdles/challenges we face. For while doing that you aren't giving your experiences full attention. The answer to your question is, You don't? Do your thing and eventually it will provide it's own proof to those who need to know. Truth is solely dependent on the person/being... Is it not? If our thoughts create our reality on this physical and non physical planes, then really... There should be no truth, as everything it truth? What is truth to me, may or may not be truth for you. This dose not meant that is is any less truthful to me. This is where ego comes in. I have been working the last few months, on being less judgmental and monitoring my feelings, and feeling the best I can each and every day. It is crazy, how when you start to look at yourself all day long and monitor what different situation are making you to feel (internally). I notice a soon as someone says something I don't believe as truth or agree with, I notice my ego flare up right away. But I am learning that we are in complete control of our emotions.... If you walk around feeling mad and frustrated all day the universe will put thing into your reality that will give you that feeling. If you walk around and genuinely feel good and happy most/all of the day its amazing how the universe puts things into your lifer that give you that feeling. Even when something happens and it appears to be bad or not good for you... I look at it and just enjoy the experience and know that whatever is happening, is happening for a reason and I believe/know that something great is going to be manifested into my life. I believe strongly that EGO is killing our evolution. When you drop ego and start realizing that everything that every one is saying or doing is truth and is right, weather you agree or not. It once again completely changes you outlook on life and reality in general. So to end off that I would like to say that I am by no means beyond EGO... It (ego) is not easy to live with each day and at this point still takes CONSTANT monitoring and keeping in check. This is why its so hard to prove AP is real.... Cause to you and me it is 100% real, we believe that we "KNOW". To others its 100% not real... And that is OK, they believe that they "KNOW". So to keep it simple why do we need to prove it to others? Even if we wanted to prove it to someone ells we cant! We can explain it in the best words we can, and explain to them on how to do it. But in the end they need to prove it to them self. If they are successful then at that point they get to change their "TRUTH"... if they so choose. Hope this made some sense... I don't know maybe I just had to go on a little rant about this. We project into our private slice of a non-physical, into our imagination. Your slice and my slice don't overlap. You can focus into my slice, observe it, but you cannot interfere. My slice is fully controlled by my subconscious. This imagination plane is where we imagine when we're wake too, and where we dream. The ego is our conscious, that can ask things from the subconscious, given the right conditions, and the subconscious can respond by creating that into our individual, subjective reality. These are the so misunderstood parallel universes: your reality, my reality, everyone's reality. They don't overlap. We can't interfere into another's reality. If I take a glance at myself in another's reality (that isn't another me, it is a creation of me by the creator of that reality), and if I like it more than mine, I can't jump into that reality, but I can change my reality (because I create it as I wish). By the way, you might remember Frank Kepple writing that he was amazed how close the astral is to the imagination ... That is because it is the same plane: imagination is where we astral project. This isn't the same plane with where we go after we die, and where from we come when we incarnate here. This might be the reason that Buddhist sages advise that astral projection can be a distraction for those who search to find out who they are (there is another thread discussing this). We can't find ourselves, our essence, in our imagination. Our essence is on another non-physical plane. Surely it doesn't make sense to get mad on any character from our individual reality, because they're just our own creation. We don't like them? We can change them however we want. Why don't we do it? Because we're not good enough creators, yet. One of the reasons for that is our lack of control of our emotions. Emotions control us. Fear especially, under various disguises, controls us. A good attitude to have is to be non-reactive, to have good will and understanding for how the characters you created behave. It isn't really "love", because a novelist doesn't really "love" his characters. In my universe / reality I am the only one that has a higher self, an essence that incarnate now as me. In each parallel universe / reality, only the creator of that reality has a higher self. There rest of the characters don't. I am the only one that creates thought forms that I have to deal with according to the karmic law. What the other "me" from the other universes don't create karma for me. What are you trying to validate? That you essentially become a ghost and roam the physical world during an obe? Most people have that misperception when the term “out of body” is used. Ive never roamed the physical world during an obe yet it has opened my eyes to realities that exist besides the physical world. Many of my obes begin in my “house” which I know for sure isnt really my house. Do we actually create the construct of that experience, given we create our own reality, or does it exist on its own is the better question.